When the SR Betas moved back into the house in the fall of 2014, almost all of the books were gone from the library. 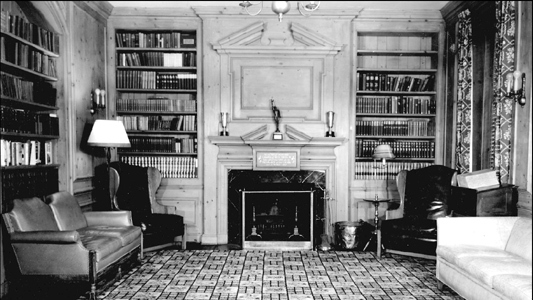 I was at the house last fall for a football game open house and saw the library in it's current state. Working with then house officers Jack Kalanik and Aaron Reinsbach and Alumni Chairman Mike Langan '82, we came up with a plan to restore the books to the library by asking the alums to donate books. 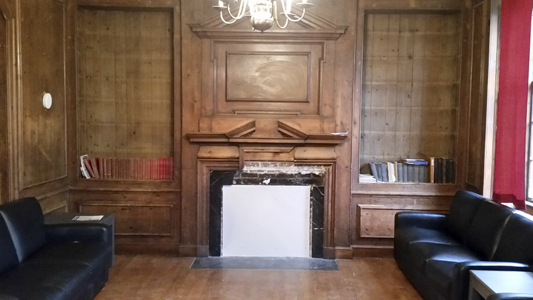 You can help out by sending in a book or two (or more) to the Beta house and help to rebuild the library and make it the great place it used to be. If you are like me, you may have a lot of books around that you don't really need. So here is a chance to do some good with them. Be sure to put in your name and return address and indicate that this is for the Library. You can send books by US Mail Media Mail for a reasonable price. I mailed a book recently from Chicago to Minneapolis and the US Mail Media Mail cost was $3.17. The book drive has started and you can be a part of it. Hopefully when we are back next fall for Homecoming, the library will be looking better. The early Alumni contributors to the library include Bruce Lyon '63, Mike Langan '82, Phil Martin '63 and Scott Harris '66. Contributions have also come from several undergraduates. Let me know If you have any questions, comments, or suggestions on this book drive.